The Political-Economic Section assists the Front Office in the conduct of bilateral relations with the Dutch Government on political and economic policy matters, as well as a full range of transnational issues. In addition, the Section ensures the Department of State and other U.S. government agencies are aware of significant political and economic developments in the Netherlands. The section is also responsible for coordinating U.S. and Dutch positions in multilateral fora. The Section also has the lead on bilateral counterterrorism and law enforcement policy issues within the Mission in consultation with the Department of Homeland Security, Department of Justice, FBI, DEA and the Department of State. The section tracks, analyzes and reports on bilateral political, economic and transnational issues by maintaining contact with Dutch government departments, members of parliament, political parties and think tanks, as well as interested non-governmental organizations, academics, individuals and businesses. The officers and staff of the Section use these opportunities to advocate U.S. policy, promote U.S. interests, assess the degree of support for U.S. policies, and promote cooperation with the Dutch Government in areas of mutual concern. 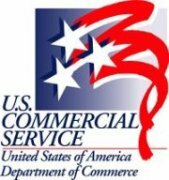 The U.S. Commercial Service (Department of Commerce) at the American Embassy in The Hague offers valuable assistance to help U.S. companies export to the Netherlands. We provide assistance in locating agents and distributors in the Netherlands. We organize trade events to promote the sale of U.S. products and services. We counsel U.S. companies on market opportunities, regulations and methods of doing business in the Netherlands. We conduct market research targeted to the needs of U.S. companies. A number of international courts and tribunals, as well as international legal organizations, are based in The Hague, the Netherlands. These organizations include the International Court of Justice, the Iran-United States Claims Tribunal, the International Criminal Tribunal for the Former Yugoslavia, the Mechanism for International Criminal Tribunals, the International Criminal Court, the Special Tribunal for Lebanon, the Permanent Court of Arbitration, and the Hague Conference on Private International Law. The Office of the Legal Counselor leads the Mission’s engagement with and assistance to these tribunals and organizations, underscoring the U.S. commitment to international law and justice and our support for international legal institutions. The Office of the Legal Counselor generally has a U.S. Citizen intern in the office in the Spring and Summer semesters. Interns have unparalleled opportunities to observe and report on developments in the various international courts and organizations in The Hague. Applications for internships may be submitted to the Office of Recruitment in the Bureau of Human Resources. Defense Cooperation (ODC) in the Netherlands. ODC Netherlands is subordinate to Headquarters European Command and is an integral part of the American Embassy in The Hague. The purpose of ODC Netherlands is to facilitate the long-term US-Netherlands defense relationship by promoting defense cooperation, with a goal of providing the U.S. Soldier, Sailor, Airman, and Marine the best materiel possible, while promoting interoperability between U.S., NATO, and Dutch forces. Ensuring U.S. technology security through end-use monitoring procedures. Security assistance includes Foreign Military Sales of U.S. defense equipment and training. Specifically, Security Assistance concerns the transfer of military and economic assistance through sale, grant, lease, or loan to friendly foreign governments. Transfers are carried out under the principle that if they are essential to the security and economic well being of such governments and international organizations, they are equally vital to the security and economic well being of the United States. International Armaments Cooperation includes support for bilateral government-to-government cooperative agreements. IAC efforts include the F-16 Multinational Fighter Program, Joint Strike Fighter Program (Development, Operational Test and Evaluation, and Production), Data Exchange Agreements, Foreign Comparative Testing, Engineer & Scientist Exchanges, and support to U.S. defense industries seeking to do business in the Netherlands. In this function, the ODC serves as the point of contact for United States European Command (USEUCOM), its subordinate units (i.e. USAREUR, USAFE, NAVEUR) and the Government of the Netherlands for establishment, amendment, negotiation and cessation of technical stationing and international implementing agreements. This includes planning and coordinating bilateral mutual logistics support arrangements to provide for flexible and responsive logistics throughout the spectrum of conflict. Processing requests for procurement or information requiring release of sensitive technology. The training section within the Office of Defense Cooperation is the point of contact for United States sponsored Foreign Military Sales (FMS) training utilized by personnel within each of the Dutch military services. The Netherlands Ministry of Defense sends approximately 400 students to the United States for various military training courses annually. Training requirements are passed to ODC via a designated training point of contact within each Dutch military service. See Training Link (PDF 61 KB) for additional information. The Public Affairs Section of the American Embassy is responsible for delivering information to the Dutch public about the United States, its government and its policies, and about America’s institutions and its people and culture. As part of this role, the Section’s officers serve as the Embassy’s official press spokesmen. In addition, the Section organizes conferences, seminars and talks by visiting American officials and academics, as well as electronic meetings of American and Dutch counterparts. As part of the Embassy’s overall outreach efforts, the Section manages speaking programs by other Embassy officers, invites groups to the Embassy for presentations, and maintains the Embassy web page and social media platforms. The Section also manages a variety of educational and cultural exchanges — both short-term and long-term — that allow Dutch and American scholars, officials and professionals to visit each other’s country. 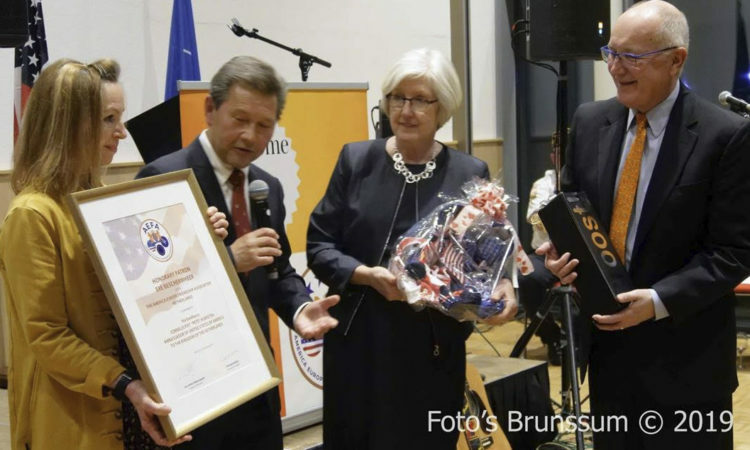 The Section works closely with the Fulbright Center, which enables Dutch and American students and faculty to study in America and the Netherlands.